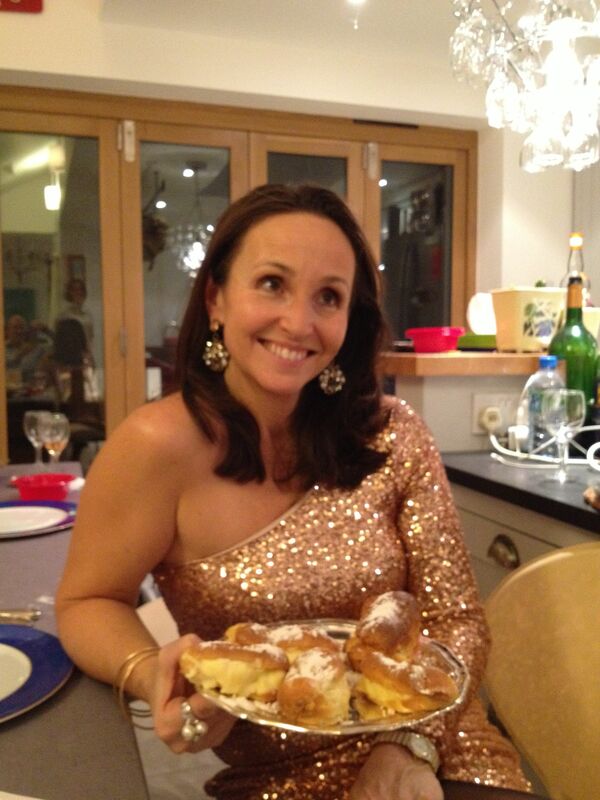 I thought I knew all about choux, chouquettes, gougères and the lot… I had even made my own overfilled éclairs a few Christmasses ago ( in my trusted Thermomix) and I have to admit I had felt quite pleased with myself. See below! 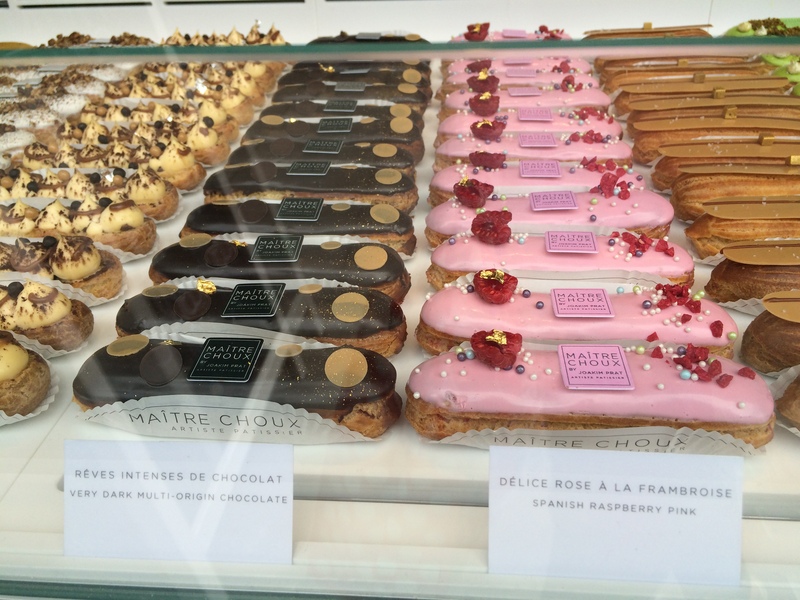 “Maître Choux” is a brand new French pastry shop that has opened in the “French Quarter”, between a French Bookshop and a Saturday farmers market, in the most Parisian of London roads… And the mastery shines in a dazzling variety of “petits choux” and éclairs that can only have been dreamed up in a Palace of Dame Tartine or in some kind of foodie fantasy written up for Babette’s Feast! To try any flavour is to get hooked. My favourite is their lemon “petit chou” with a crispy craquelin covering a springy choux base and encasing a tangy Greek yogurt and lemon filling. 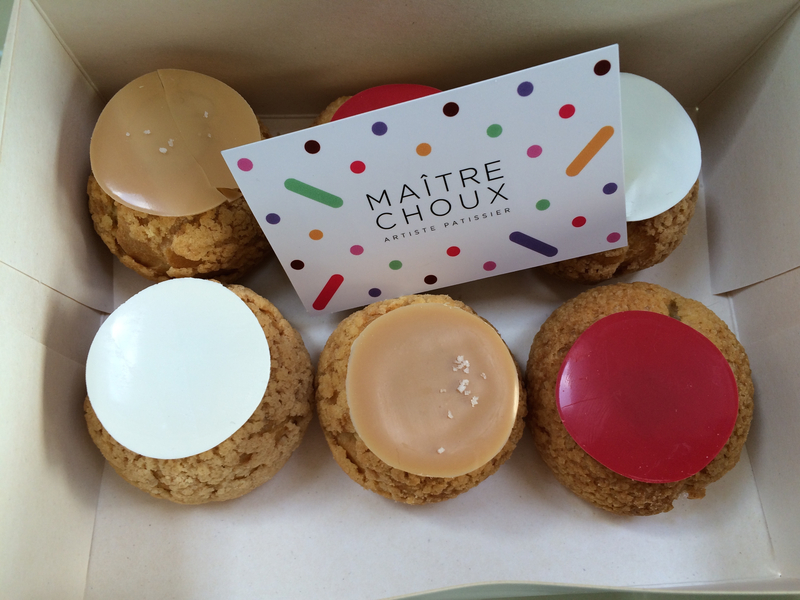 “Maître Choux” concept is simple: Just choux, only choux and soon all of them choux! 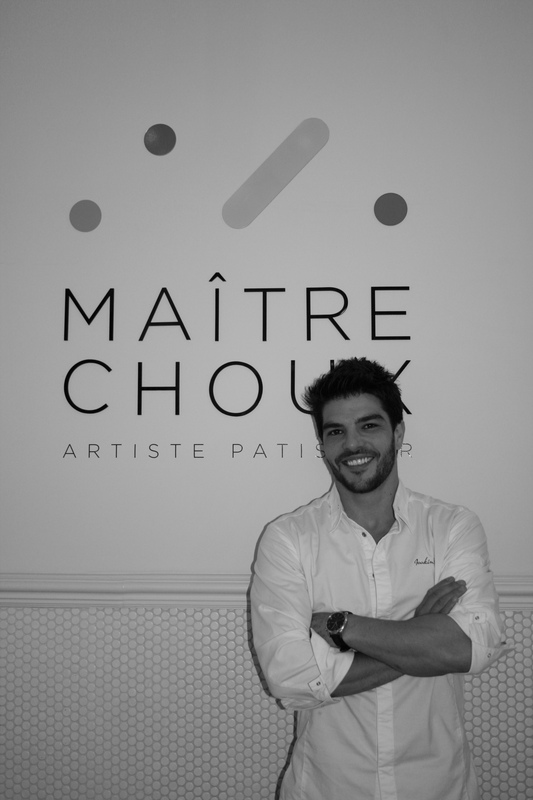 Chef Joakim is an “artiste pâtissier”, ex-Robuchon and The Greenhouse, and his precious little wonders are inspired by fashion, jewellery designers or or simply the London street. 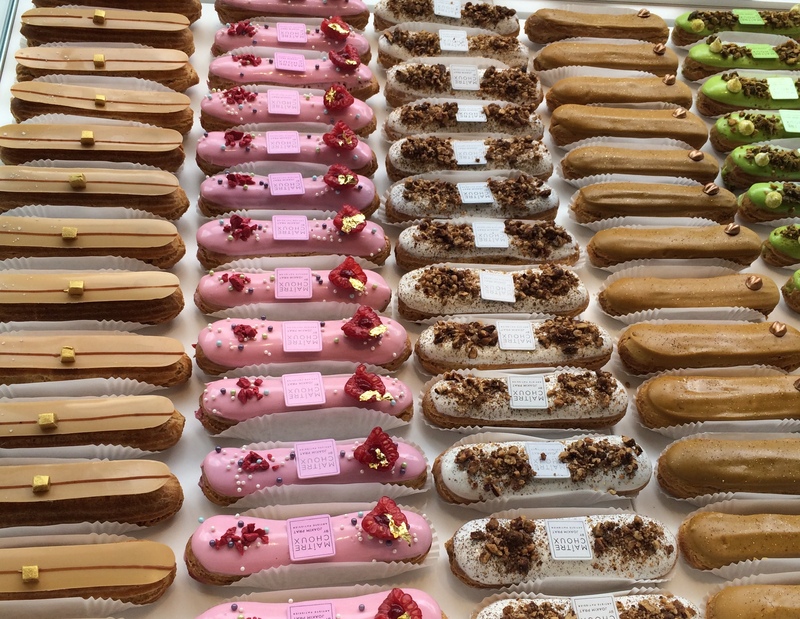 The flavours are bold but classic like an éclair in violet and blueberry presented in glorious purple livery or a choux filled with the finest Vanilla beans and topped with a smooth white disc. They use the very best ingredients in foundation flavours such are Vanilla, Pistachio or Salted caramel and hence their opening a few weeks ago was greeted by passer-bys who came to congratulate them, thank them and even bring gifts to celebrate! In an area spoilt with choice and home to some great food outlets, this says something about how different and innovative their offer looks and tastes like. 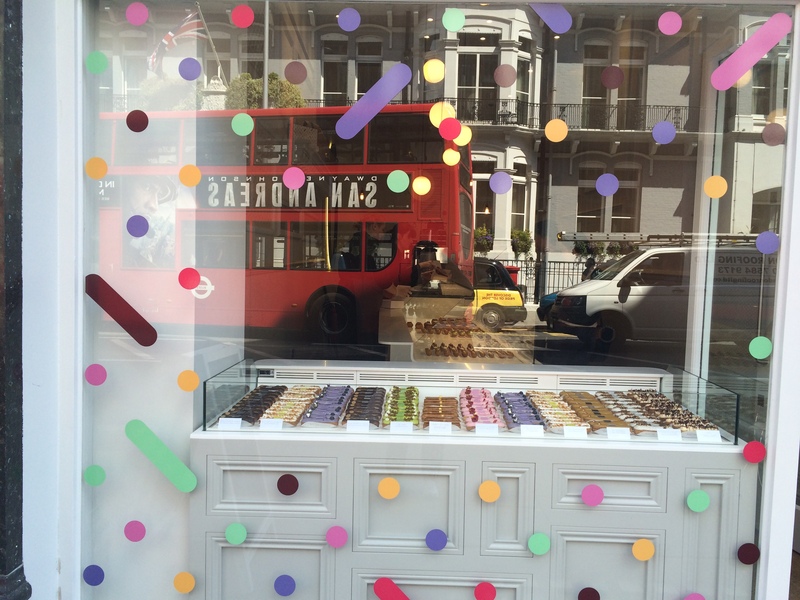 What do Jérémie and Joakim enjoy about being in London? They love the creative energy of the city and reckon it is currently Europe’s food capital! So they are striving to raise the standards for an equally artful and creative fine patisserie scene. No wonder they are busy! Their little parcels of happiness, in their prettily dotted box, do not come in cheap though, but believe me it is well worth the spend. Yet because this blog is about democratic cooking and baking, and especially affordable home cooking goodness, I have asked them for one of their best sellers recipe and here it is for you readers in all of its simplicity and perfection. I tried it last week in my kitchen (Thermomix at the ready) and served it to a posse of yummy mummy friends and babies – verdict was unanimous and very appreciative ! 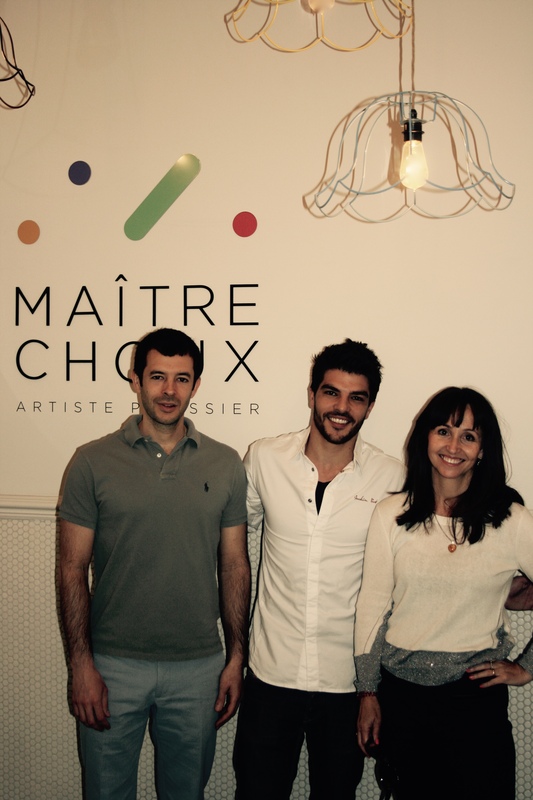 Thank you all at Maître Choux for a very delicious (and affordable) treat. We are listing all the ingredients in order of use during the recipes to give you a clearer view of the process from the start. In order to make things easier for yourself and minimize potential mistakes, weigh and prepare each ingredient in its own bowl before you begin. Before we start, please preheat your oven at 180 degrees, fan off, minimum humidity setting. Bring to boil the milk, water, butter, sugar and salt and watch over the pan. AS SOON AS IT IS BOILING, add the flour and stir firmly with the spatula for one minute or so, until the mix doesn’t stick to the sides of the pan any more. When it does not stick to the sides of the pan any more it means it is ready. Now take the pan off the heat and add the eggs little by little and one by one until the mix is smooth but not too runny. The hard part in making choux pastry for an untrained eye is in this step: if the mix is too thick it needs more eggs, however the eggs must be added slowly as if it becomes too runny then it will not raise in the oven. Chef’s tip: Trace a deep line into the choux pastry with your spatula. If the line closes up slowly, then it’s ready! Before you start, soak the gelatin in cold water. To make the lemon cream, bring to boil together the lemon juice the sugar and the lemon zests. Once it is boiling, add the eggs and cook for 3 minutes until boiling while mixing sharply with a whisk. Once it is cold, add the Greek yogurt to the mix and stir with the spatula. It is now ready to use. Whisk the egg whites then add the sugar. Carry on whisking until the texture is thick then add the lemon juice and the lemon zests. Bring to boil the milk, water, butter, sugar and salt and watch over the pan. AS SOON AS IT IS BOILING, add the flour and stir firmly with the spatula for one minute or so, until the mix doesn’t stick to the sides of the pan any more. When it does not stick to the sides of the pan any more it means it is ready. Note : make sure the mix is not too runny or it will not raise but also not too dry or it will collapse soon after! This is where experience comes into… Dry it in the pan or add a bit of water until you get it right. 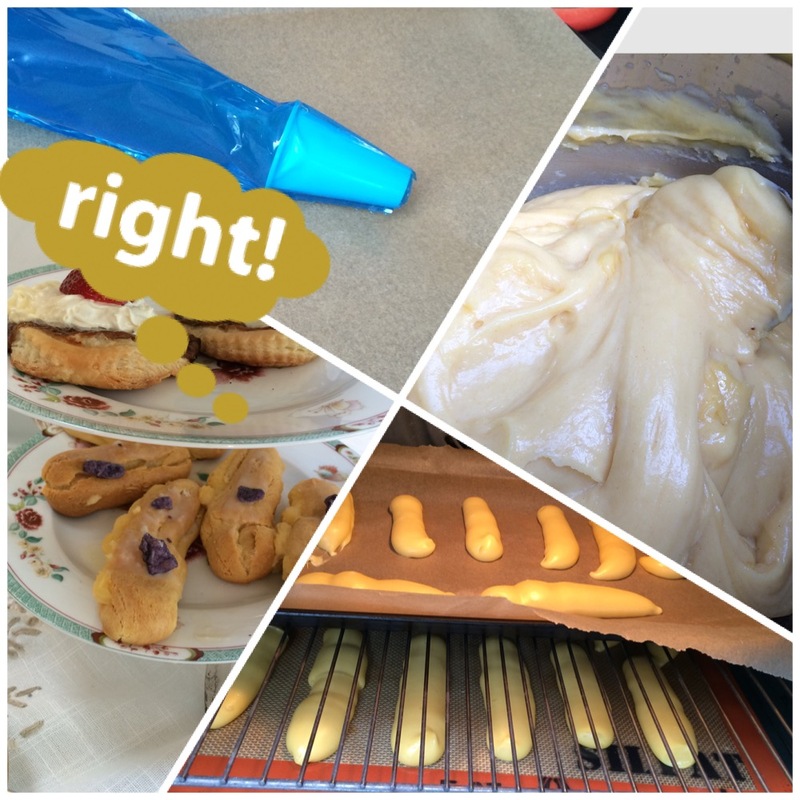 Transfer the choux pastry into your pastry bag and pipe into an éclair shape. Do not pipe them too close together as they need space to rise Then keep inside the oven at 180c for 35 minutes until golden. Have a lovely sunny week! 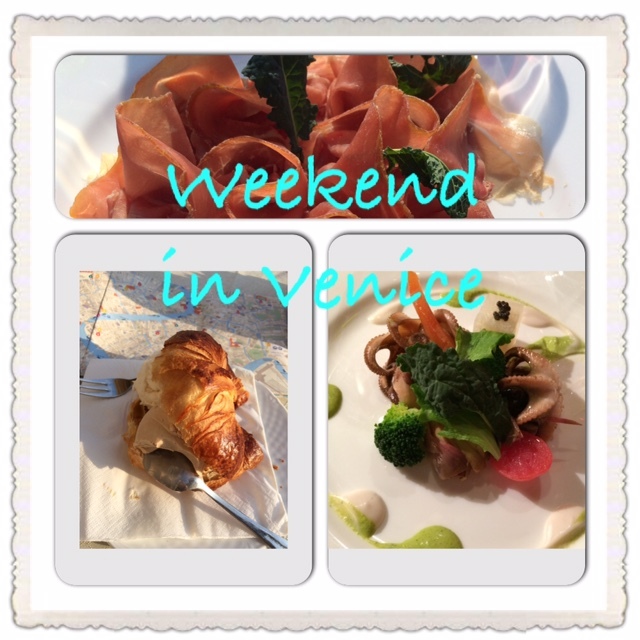 Just landing back from a week-end in Venice, I am giving you here the quickest and easiest ice-cream recipe. 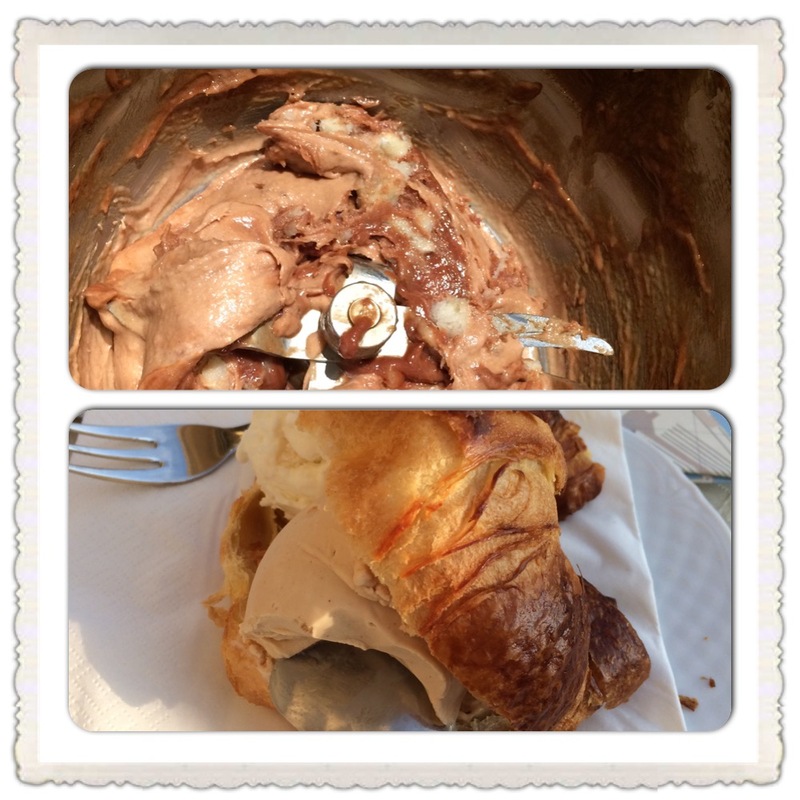 It only takes two ingredients – plus the croissant into which you will nest your ice-cream balls, in true venetian style (see photo)! I buy my hazelnut and cocoa butter from Wholefoods but you can make your own or use any favourite nut butter. To make it yourself you just need a tough blender, chuck hazelnuts in with a spoonful of melted 90 percent cocoa chocolate and whizz to a paste. You might add a teaspoon of water if too sticky. 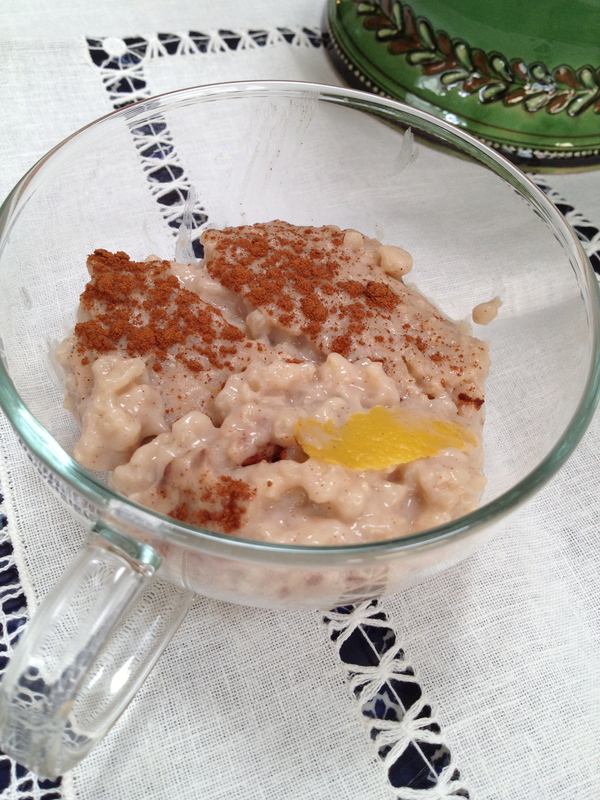 I love the spanish style rice pudding my grand-mother used to make for us, but I made mine with almond milk for a change and it fitted beautifully. Lately, I have enjoyed using almond milk for its subtle taste as much as its health benefits. It was delicious in Panacotta and today it sings away in humble rice pudding. Warm the milk in a pan and sprinkle the rice and spices and the lemon skin. When I peel the skin off my lemon (organic and unwaxed for this), I like those strips to be large and uneven: this is proper family food, not dainty party pudding. Turn and check the rice often but the cooking should take about 45 min to an hour- sometime I put it in the oven for 1h30 at 150degrees. 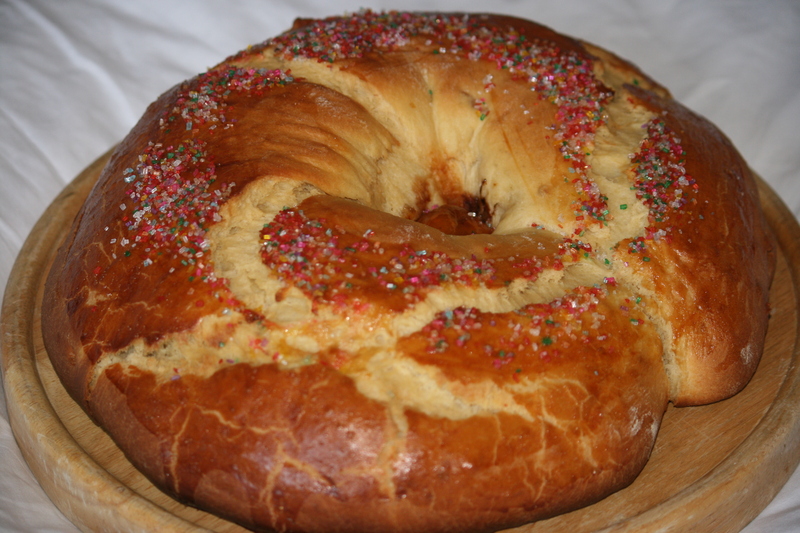 Towards the end, you add the sugar and the butter and mix it all in. First insert the butterfly whisk and add the milk, rice, lemon zest, vanilla and cinnamon. Cook 45 min at 90° speed 1. The great advantage of course of the Thermomix over the oven version is you don’t have to watch it : just set the timer and go for a half hour run! Add the sugar and butter and cook 10 minutes at 90° speed 1. Remove the butterfly whisk and turn into a serving dish to cool. Sprinkle with cinnamon. Serve at room temperature or cold the next day. 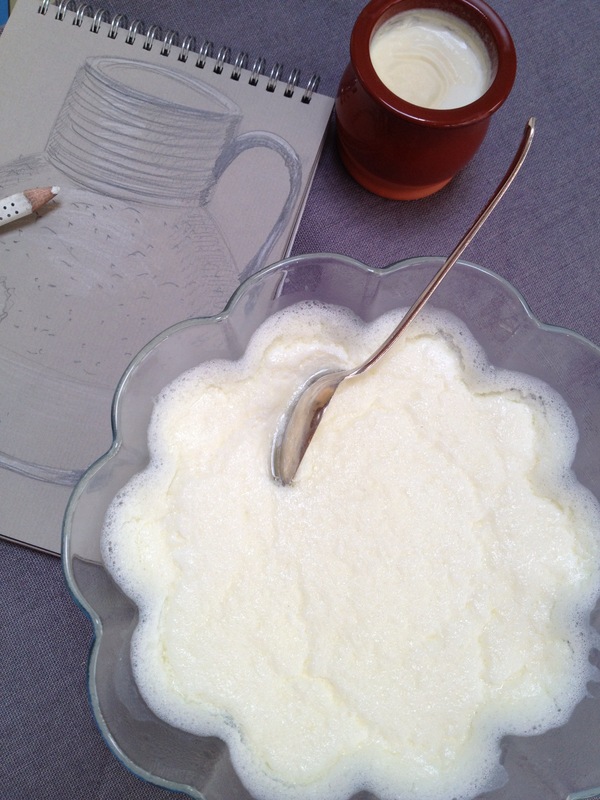 Last year, I gave you my recipe for a homemade yogurt without yogurt maker. 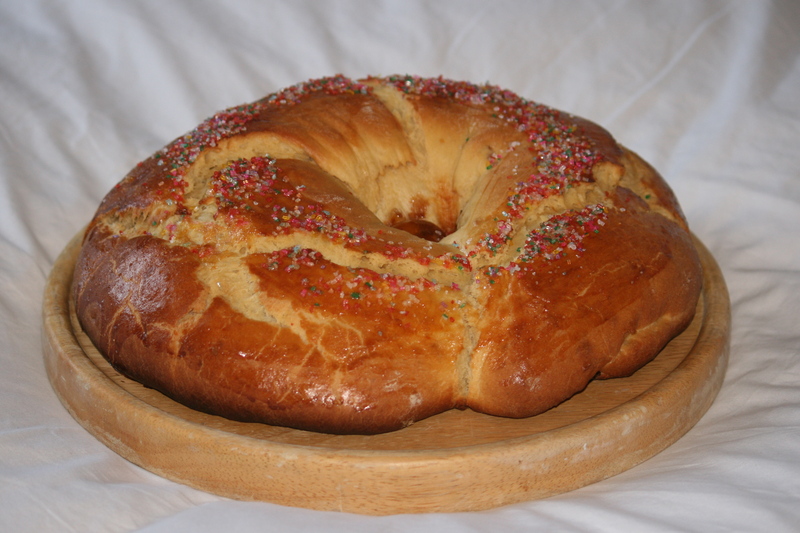 This year, I have perfected it by using my Thermomix and here is the adapted version. Of course, if you don’t have the machine, you can use last year recipe and still produce a lovely, creamy yogurt with just hob and oven. But the 2013 model is just a bit quicker! Heat the milk for 20 min. at 80 degrees. Let it cool down to about 40 degrees (or touch warm if you have not got a jam thermometer). Add the live yogurt, the powdered milk and the orange blossom. Mix 3 min at speed 3. Re-heat at 37 degrees for 10 min. speed 2. Transfer the mix into glass or ceramic jars and leave overnight in the oven heated at 40/45 degrees. You will need about 8 jars. And that is it . You will have creamy, freshly churned yogurt ready for you in the morning! You can adjust the oven time depending on wether you like it more set or more liquid. I take mine with a sprinkling of fruit and nuts and a dash of agave syrup. This yogurt will keep easily for a few days in the fridge.